who died July 8th 1884. Aged 55 years. Also Margaret, daughter of the above who died January 10th 1889. Aged 25 years. 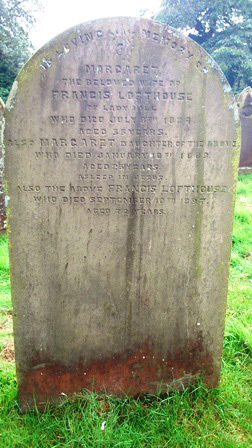 Also the above Francis Lofthouse who died September 10th 1897. Aged 72 years.